Whenever I see something like “create a life changing cash flow” I take a step back and try to see what someone is trying to sell me, and in most cases it turns out to be a scam or someone is getting paid on the back end. The presenter of the so called Binary Arrow trading method is someone calling himself David Baxter. I tried researching his profile online, and guess what? I found nothing, which usually means that person is an actor using an alias or a really old school person that hates everything tech or internet-related. This review will prove the former of the two to be the correct assumption. Just as I was listening to the testimonials I noticed a familiar face, so I started checking out some sites and found proof that one of the people providing them is an actor (see above). Needless to say I wasn’t shocked, just amazed at what people are willing to do in order to promote their so called “money making systems”. Furthermore, after looking at the “as seen on TV logo” I tried seeing any mention of this on Television, but was unable to. At this point I decided to stop my review and ask a different and more troubling question. This marketer has prominently displayed “binary brokerz” as someone providing him certification. Furthermore, after looking at the “as seen on TV logo” I tried seeing any mention of this on Television, but was unable to. At this point I decided to stop my review and ask a different and more troubling question. This marketer has prominently displayed “binary brokerz” as someone providing him certification. Now, I’d like to give the broker the benefit of the doubt and assume they not sanction this form of sponsorship. However, if they did I would consider this broker to be no less of a scammer than the advertiser as they would be knowingly misleading common people to invest in what is obviously a rip-off. To sum up, there are a few legit systems out there and a ton of con artists and scammers that will try to get you to invest with a broker of their choice. Still, with everything that’s going on these days there are a few systems that employ signals or automated trading tools (i.e. algorithmic or algotrading) and achieve a significant return in investment. These systems are usually not promoted as heavily and may be more difficult to come upon. However, in this field of expertise high exposure does not necessarily correlate with a high success rate, so you may need to dig deep to find systems that will perform for you as well as integrate with reputable brokers like Cherry Trade, Tradorax, or Optionweb. It’s very easy to tell the difference, the scam systems like XTPApp or MockingBird will ask you to register without letting you know the name of the broker you are signing up for, it will only be revealed you after you complete the registration process. 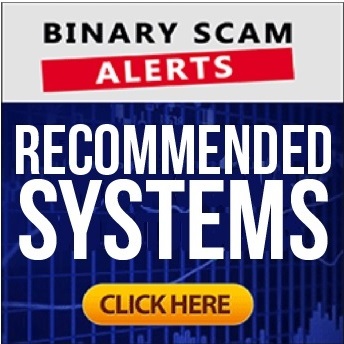 The good systems will let you choose from an assortment of recommended brokers, and will usually have some types of reviews that are available for you so at least you can make some type of informed decision about who and where to invest your money. Because at the end of the day that is where you will deposit your money as well as get a paycheck from. To conclude, you need to ask yourself if this is what you really want or are you willing to work harder and do what it takes in order to profit from binary options trading. Because there are ways to do it, they are just not as easy as push-button and get paid. Honestly, nothing in life is like that, but if you are willing to invest the time I can steer you in the right direction. If you are interested in learning how its done just leave a message below.